A Riga City Council committee has supported a plan for a draft decree that aims to revoke the licenses of around 200 gambling halls in the Latvian capital, local news outlet LSM.lv reports. The City Council’s Security, Public Order, and Corruption Prevention Committee today approved the proposal for the closure of gambling venues currently operating in Riga, even those located in suburban areas. Jānis Liepiņš, head of the council’s legal department, said that if the planned decree gains enough traction it would result in the revocation of nearly 200 licenses for the provision of gambling services at special halls around the Latvian capital. Mr. Liepiņš further pointed out that if the decree is enforced, city officials will then have to issue separate decisions on the closure of each individual gaming facility, as it is required under current laws. Riga’s crackdown on gambling halls kicked off in 2011 when the City Council stopped issuing licenses for the opening of new facilities. In 2017, officials ordered the closure of 42 gambling venues in the historical center of the Latvian capital. Riga’s Mayor, Nils Ušakovs, has instructed the City Council’s Legal Affairs Department and Urban Development Department to draft a decree that would revoke the licenses of all gambling halls in the capital, except for those located at four- and five-star hotels. In other words, gambling facilities will not be completely banned in the city, although their number will be reduced significantly as part of officials’ effort to purge Riga from gambling. Under Latvia’s gambling law, local governments are entitled to revoke casino, gambling and bingo hall, and betting shop licenses, if the operation of such facilities harms the interest of residents of the given area and the nation as a whole. The President of the Latvian Association of Hotels and Restaurants, Jānis Pinnis, has told local media that the latest actions of the Riga City Council were somewhat unexpected and that the closure of gambling halls will certainly have an extremely negative and restrictive impact on business representatives who have invested considerable amounts of money into the establishment of the affected halls. The post Riga Moves to Shutter Gambling Halls appeared first on Casino News Daily. In a civil action order containing details about the fine, the New Jersey gambling regulator names bwin.party as the violator of the state’s self-exclusion rules. Bwin.party entered New Jersey back in 2013 when the state opened its market for regulated online gambling services. The online gambling operator joined forces with the Borgata to provide its services to local customers. GVC acquired bwin.party and its online gaming and betting brands in 2016. The digital gambling business ceased to exist under its original name as it became part of the new group. Following a Division of Gaming Enforcement complaint dated December 20, 2018 against bwin.party, the state’s gambling regulator imposed an $81,000 fine on the online gaming operation. 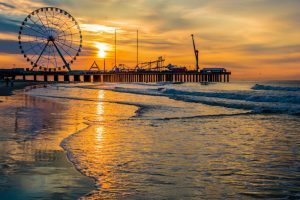 The decision was announced in a March 8 civil action order signed by David Rebuck, the Director of New Jersey’s gambling regulator. The fine is payable upon receipt of an invoice from the gaming enforcement division. Bwin.party is facing the consequences of its failure to prevent self-excluded players from gambling online. As a result, 12 gamblers, who had previously opted to self-exclude from wagering, lost the amount of $41,759.49. In a separate civiл order, the Borgata was ordered to forfeit the exact amount of gambling money lost by the 12 self-excluded individuals once it receives an invoice from the Division. 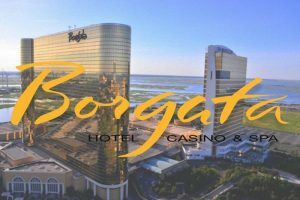 The Borgata has recently received another slap on the wrist by the New Jersey gambling regulator, that one for failing to prevent a gambler based in California from accessing its online gaming offering. In an order from earlier this year, the Division ordered the Borgata and Caesars Interactive, the online gambling division of Caesars Entertainment Corp., to forfeit more than $90,000. The money was found in the online gambling accounts of Vinh Dao, a California resident who found a way around the geolocation technology used by New Jersey’s casinos to prevent out-of-state gambling. Mr. Dao was found to have been able to gamble on New Jersey websites without leaving the comfort of his California home in February 2014, when the state’s online gambling market was still very young and operators were in the process of ironing out geolocation issues and related tech glitches. Last month, the Borgata was ordered to forfeit around $68,000 in gambling money wagered by customers who were not permitted to gamble or failed to produce identification papers upon request. The post New Jersey Gambling Regulator Fines GVC’s bwin.party for Self-Exclusion Failures appeared first on Casino News Daily. Las Vegas casino and hospitality giant MGM Resorts International is working hard to be selected as the preferred developer of an integrated resort in Osaka, the company’s CEO, Jim Murren said on Bloomberg Daybreak: Middle East. Thanks to a supportive local government and business community, and an already available site for a large-scale MICE development, Osaka is among the favorites in the race for hosting one the nation’s first casino resorts. The Japanese government legalized casino gambling in December 2016 as the first of a two-step legislative process that would pave the way for the development of three integrated resorts with Las Vegas-style casino gaming in the country. Lawmakers completed the second step last summer when they passed a bill that set the preliminary rules and guidelines under which the properties would be built and operated. The government will now have to select the preferred locations of the future integrated resorts and the preferred developers and operators of those. Mr. Murren said that he believes Osaka would be the first integrated resort location to be announced. The MGM Chief Executive further dwelt that they plan to “focus all [their] energy in Osaka” and win what is expected to be a clash of some of global gambling’s titans. MGM is not the sole casino and hospitality giant to be keen on leveraging Osaka’s fertile tourism market. The city saw a four-fold surge in foreign visitors over the past five years, thanks to its rich culinary tradition and diverse nearby sights. According to recent prefectural records, executives from 11 major gaming and hospitality companies have paid 25 courtesy visits to Osaka Governor Ichirō Matsui between 2012 and the spring of 2018. Macau casino giant Melco Resorts & Entertainment and its Las Vegas rival Las Vegas Sands are, too, among the notables that are eyeing Osaka. Mr. Murren told Bloomberg that Osaka’s government is expected to present a request for proposals from interested casino operators within the next three to four months and that a decision on the preferred integrated resort developer is likely to be announced about this time next year. Osaka has won the bid to host World Expo 2025 and the local government has expressed hopes that an integrated resort will become operational before the fair. It is believed that Osaka’s already has a site for the casino resort in mind could significantly boost its bid. Both the venues for World Expo and the potential MICE property will be built on the artificial Yumeshima island. The island was built in the 1970s ans was initially occupied by chemical factories and shipyards. It can soon become home to one of Japan’s first integrated resort with a gaming floor, MGM’s CEO believes. The executive told Bloomberg that they have been approaching local businesses and that their Japanese project, if they win approval to materialize it, will be the result from a consortium formed between his company and Japanese entities. MGM’s push for Japan expansion also manifested in the company’s recently signed agreement to sponsor Major League Baseball’s Opening Series in Japan, which began earlier this week. The agreement provides MGM with large brand exposure among the many Japanese fans of baseball. The post MGM Focuses “All Its Energy in Osaka” as Preferred Casino Host appeared first on Casino News Daily. Supplier of online casino content Play’n GO has been authorized to provide its games to the Philippine market, the company announced in a press release issued Wednesday. The authorization was awarded by PAGCOR, the regulatory body tasked with overseeing the Philippine gambling market. The move will enable Play’n GO to expand its global footprint and explore the numerous opportunities available in the Asia-Pacific region. Play’n GO was founded in 2005 and has built reputation of a supplier of diverse online casino products for the growing digital gambling industry. The company prides itself on being one of the early adopters of mobile innovation and one of the first game developers to recognize and utilize the potential of mobile gaming. Being authorized to provide its products to the Philippine market, the company will be able to explore and exploit “a wealth of new opportunities” in the region. News about Play’n GO’s authorization to provide its products in the Philippine market came just as PAGCOR has stepped up efforts to prevent unregulated operations from being conducted from within the country. The gambling regulator said late last year that online gambling companies operating in the country without the necessary local authorization would face dire consequences. As part of the Philippines’ special licensing program, interested companies can obtain the so-called Philippine Offshore Gambling Operator (POGO) licenses from PAGCOR. These licenses enable them to provide offshore gambling services and target customers from all over the region. The Philippine gambling regulator said that it has strengthened its policies and practices for monitoring the local industry and strongly advised companies to apply for the necessary license and related documentation or otherwise face the consequence of their unauthorized actions. Those consequences could involve criminal charges and deportation of foreign workers, among other things. The Philippines has become a magnet destination for Chinese online gambling operators that cannot provide their services from within China as this is considered illegal. According to a recent report by the South China Morning Post, Chinese gambling firms have taken advantage of the warming relations between Beijing and Manila to set up shop in the Philippines. The influx of Chinese companies came as a major boost to the Philippine property sector. According to recent stats, gaming firms from China took up nearly 30% of the newly built office space in Manila last year. The post Play’n GO Set for Asia-Pacific Gambling Expansion with PAGCOR Authorization appeared first on Casino News Daily.